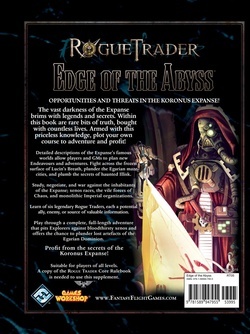 In Edge of the Abyss, a supplement for Rogue Trader, detailed descriptions of the Expanseâs famous worlds allow players and GMs to plan new Endeavours and adventures. Fight across the frozen surface of Lucinâs Breath, plunder the Egarian maze cities, and plumb the secrets of haunted Illisk. Study, negotiate, and war against the inhabitants of the Expanse: xenos races, the vile forces of Chaos, and monolithic Imperial organizations. 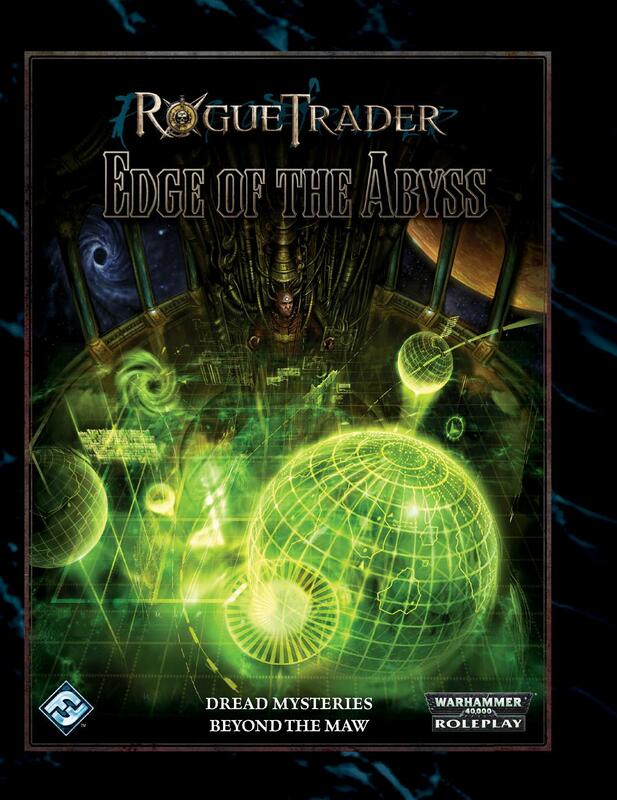 Edge of the Abyss offers in-depth descriptions of several important locations in the Expanse, including some never-before-revealed worlds. Additionally, youâll find background information, statistics, and ships for the most powerful alien races and organizations of the Expanse. âYou Bid Babies? !â Jordan âMillyâ Millward with Keri Harthoorn, Kyle Harthoorn-Burton, Kieren Smith, and Julia Smith. âThe Wise Guysâ David Wiley Holton, Chuck Boyer, Scott Boyer, Dana Severance, Jared McGee, and Mark Belhumeur. âFuries for everyone!â David R. Schumpert III esq. with Pierre Wagenseil, Martin Linde, Adam Schumpert, and David Hudock. âUnrepentant,â Lachlan âRaithâ Conley, Jordan Dixon, Nick Maroney, and Brad Twaddell. âFFG Crew of the Golden Dawnâ Tod Gelle, James Hata, Kyle Hough, Mack Martin, Thaadd Powell, and Ross Watson.